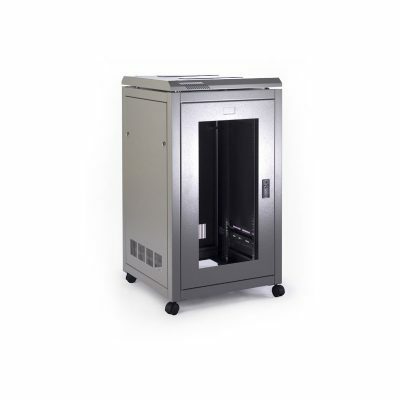 The 18U 600 Wide x 600 Deep Prism PI Data Cabinet is manufactured in Great Britain from 2mm steel and can accommodate all of today’s data centre requirements. This additional higher grade of material allows a static loading of up to 750kgs to be used. Designed to offer flexibility across a range of data centre and comm’s room applications for networking, cabling, broadcast and communications. 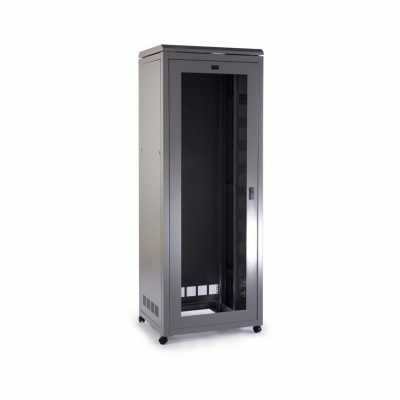 The PI Data Cabinet represents a cost effective housing solution for all networking and data equipment. A flat packed option is available – Order Part Code FLATPACK. All Prism PI Data cabinets are fitted with a lockable glass front door and a rear metal vented door as standard. To complete the specification each cabinet comes with lockable vented side panels and a configurable top panel system to incorporate fan and brush entry solutions. The 600mm Wide Prism PI Data Cabinets are available in a range of height options from 9U to 47U and depth options of 600mm or 800mm. The Prism PI Data Cabinets have a range of optional accessories available including Permanent Heavy Duty Castors, Fan Trays, Plinths, Shelves and Power Distribution Units.